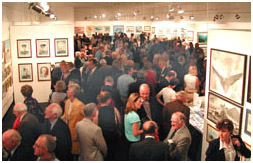 With over 400 original works of art on display in the prestigious Mall Galleries, the Guild's 48th Open Annual Exhibition will attract art buyers and enthusiasts from across the world. 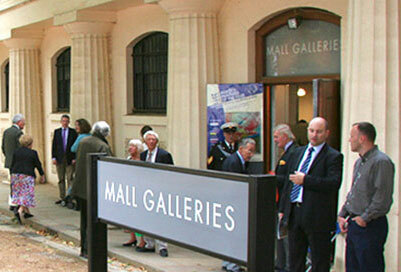 Click here for Mall Galleries. 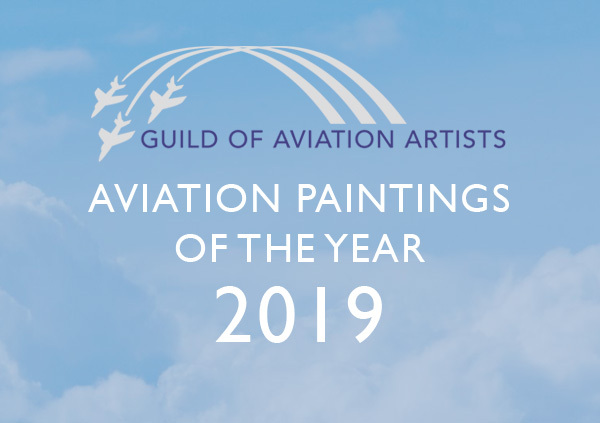 An unmissable occasion for lovers of mainly representational and wholly original works of art, each the result of meticulous observation or careful research of aircraft, events, personalities and historical achievements blended with artistic skills in land, sea and skyscapes. Discover the wide range of techniques and styles in watercolour, oil, pen and ink, pencil, gouache, pastel and acrylic offered by members and non-members of the Guild. 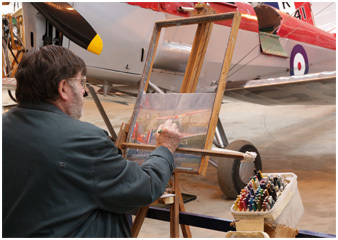 Informal demonstrations of aviation painting in oil, watercolour or gouache by senior Guild artists may be seen on a daily basis throughout the exhibition from Tuesday until Saturday. 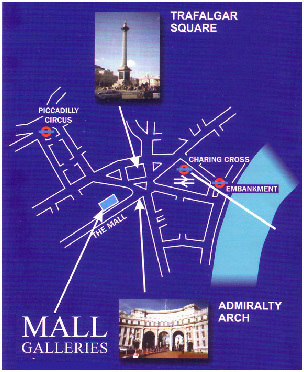 A commentary on exhibits by a senior Guild member will be given on Thursday at 12 noon and again at 6 pm. The Exhibition will be opened on Monday 22nd July 2019. Attendance at the Opening Reception is by invitation only. Prospective purchasers may apply to the Secretary to attend the Buyers’ Preview on Opening Day, which will take place from 3.00 pm to 5.00 pm and the Private View in the evening between 5.00 pm and 8.00 pm (times subject to confirmation). Click here to contact us. Advance copies of the catalogue will be available from the Guild office approximately one week before the opening at a cost of £5.00 each, plus £1.50 for postage.